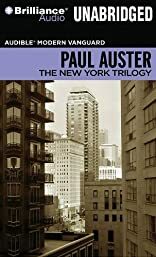 The New York Trilogy by Paul Auster was written by and Paul Auster. The New York Trilogy by Paul Auster was published by Gardners Books. About Paul Auster (Author) : Paul Auster is a published author, editor, and a narrator of young adult books. Published credits of Paul Auster include Timbuktu.